Now that the fall marathon season has ended and the holidays are quickly approaching, we here on the Dashing Whippets Running Team are focusing on showing love for our fellow runners. While nothing beats meeting your best run buddy up for a spin along your favorite route and post-run eats and libations, we have done some brainstorming and have come up with our top gift ideas for the runner in your life. 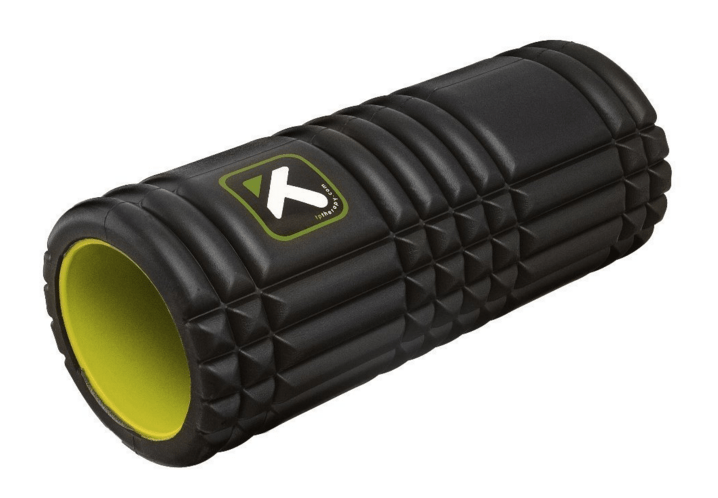 Hurts So Good – Trigger Point Foam Roller (hat tip (h/t): Om Almodovar): Since my IT bands (yes, both) have been a primary source of trouble since I started running several years ago, a few minutes on the foam roller are a must for me after every run. When I initially learned about these glorious torture devices, I bought the cheapest foam roller I could find only to discover that the Styrofoam variety falls apart quickly. I decided to bite the bullet and splurge on the Trigger Point, and I’ve had no regrets. It keeps its shape no matter the shape I’m in, and as an added bonus the 13 inch variety fits in a carry-on suitcase. The hollow center means you can stuff your running clothes inside. Destination race, anyone? Running Reads – Poverty Creek Journal (h/t John Dennie Crabtree III): “This book is everything” says our teammate, John. The memoir chronicles a year in the life of the author and what he learns about life and loss through his runs. Excerpts from the book reveal a poetic style and content beyond the average running log – each entry takes the “day’s run as their point of departure.” Recommended by Runner’s World AND the New Yorker, this book was sold out for some time, but copies are currently available through Amazon.com. Clear Eyes, Warm Hands, Can’t Lose – Saucony Utili-Mitt (h/t Young Cho): Lately my standard greeting on my morning runs is “I really should have brought something for my hands.” If, like our long suffering teammates Anya and Francesca, you keep hearing grumbles about being cold rather than “good morning!” you can drop your run buddy a hint by getting them a pair of mittens. 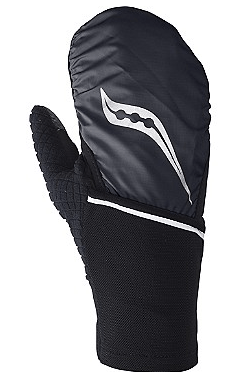 Young is a fan of the Saucony Utili-Mitt because they are lightweight, and the top part flips over, revealing gloved fingers after your warm-up. The materials look cozy too – the mittens feature a weather-resistant upper layer and a soft fleece interior, plus reflective logos and a magnetic fastener to keep your mittens from running away without you. Relax, Release – Massage Gift Card (h/t Tiger Ellen Nguyen): Several years ago, our teammate Tessa recommended that I try out a sports massage as an antidote a sore body. Without exaggerating, this was probably the single-best piece of marathon training advice I’ve received from a teammate. For the soft-tissue injury prone a sports massage can be a great way to prevent injury and it feels like wonderful pampering to boot. The team has a number of massage therapist contacts, our very own Tiger Ellen included. During marathon season, Sara Hunninghake at Finish Line PT becomes my best friend. For the Perpetually Freezing – Buff/Neckwarmer (h/t Jerlyn Thomas): Buffs come in very handy in the winter because of they are so versatile. They can be used as scarves, ear warmers, headbands, or in place of a hat. Some brands, like Original Buff (linked above) even boast UV protection! Personally, I’m a big fan of the neckwarmers made by NewDuds, an independent design and print shop run by runners up in Vermont who use sustainable/recycled fabrics. Oh You Fancy, Huh – Merino Wool Gear: If you REALLY want to spoil me your favorite runner, a splurge on a merino wool half zip or socks will be very well-received. Merino is an extremely tough natural fiber. It is warm, wicking, lightweight and naturally anti-stink. I’m an especially big fan of Oiselle’s Wazzie Wool line, because in addition to all the benefits listed above, the gear is also machine washable. In particular I like the base layer because I can use it for casual wear, running and lounging, and I’ve even been known to stealthily sneak one under a blazer for work. Hydration is Key – Nuun (h/t Henrietta Aitken): Who doesn’t love Nuun!? A few tubes make an excellent stocking stuffer. I like to throw a tablet of cherry-lime Nuun energy into my water before morning runs, and regular Nuun at all other times. Pro-tip: Nuun also makes an excellent post-party hangover cure. Give Back – Charitable Donations: A charitable donation on behalf of your favorite runner to a non-profit organization is always appreciated both by your runner and by the community at large. Here’s a link to donate to your favorite running team. Other running-related organizations we love include Achilles International, Girls on the Run, and New York Road Runners. Honorable mentions: Sparkly Soul Headbands, gift cards from Running Warehouse, Believe Training Journal.